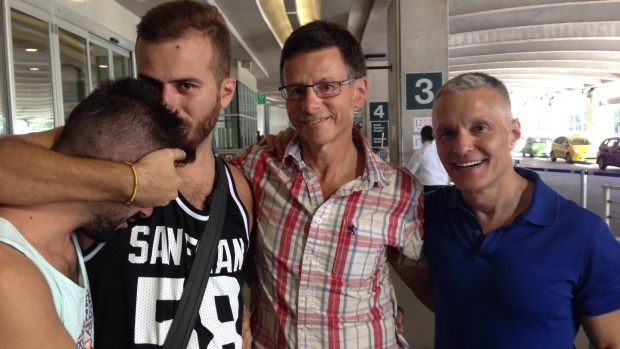 Danny Ramadan and his partner Aamer are two gay refugees from Syria. Ramadan told the CBC that he's been "gay-bashed in the Arab world" and "disowned" by his family. Danny and Aamer were sponsored by David Salter and Ron Rosell. Danny says he's very happy being in Vancouver: "Here, I have the ability to be myself finally." Welcome to Canada!